Product details 8 Mile by Loud Seeds is a regular seed. One of our close friends know only as Skins created the original Skins Skunk and our 8 Mile using Michigan Skunk as a starting point. He used a male skunk to pollinate a female Mendo Purps that the Loud family had been using for outdoor crops. 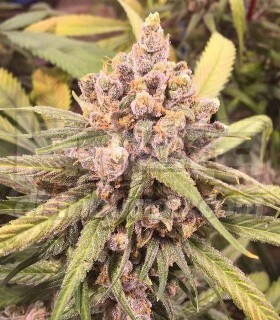 Product details Pre 98 Bubba Kush by Loud Seeds is a feminized seeds. It’s finally here!!! One of Mike Seeds all-time favorite strains ever that he has been passionately growing over a decade. The real original Pre 98 Bubba Kush in stable female seed form. We got help from our friends at Humboldt Seed Organization on this one. Big ups to Soma Seeds for their amazing Amnesia. Dementia was our first original feminized strain for the 2012 High Times Cannabis Cup in Amsterdam. Product details Headband by Loud Seeds is a regular seed. Arguably one of the top strains of our generation. Loud Seeds family acquired the Headband several years ago and our cut never left the family. Many companies have a Headband that is made from a Sour Diesel crossed with a reversed OG Kush. Product details Loud Dream by Loud Seeds is a feminized seed. Dreams are what create our future. Our friends in Humboldt did a lot of the ground work on this one. We took Nor Cal Blue Dream F1 and started to back cross it with itself to create a stable female seed. The end result is thick dense indica structured bud with sativa leaves. Product details Original Loud by Loud Seeds is a regular seed. The Original Loud F1 (AJs Sour Diesel crossed with Spicy Jack was the happy accident that started Loud Seeds). Loud is an interesting genetic cross in the sense that we isolated a phenotype that captures the best qualities of both strains. You get petrol, lemon, and Pez candy on the nose.